How Can We Leverage Summary Level Analytics to Support Enterprise Planning? 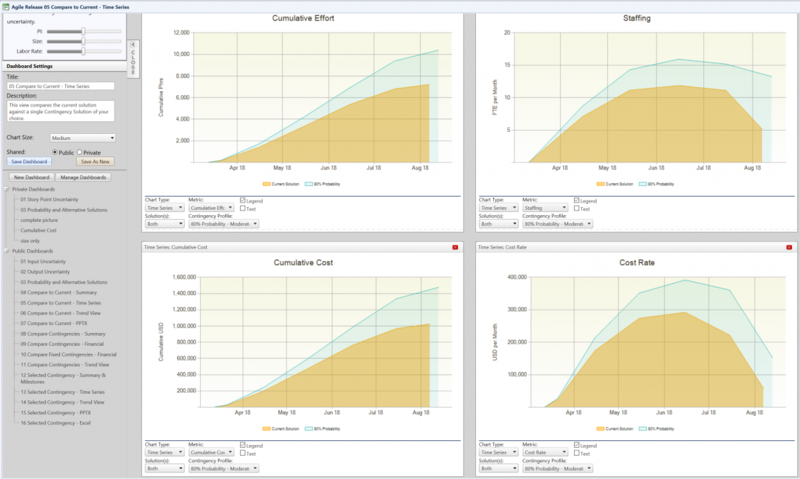 What if you could leverage summary level cost, duration, and productivity data to support estimates for future projects, at the release and enterprise level? C-level executives, development managers, and project stakeholders are all involved at some level in project planning. They want quick access to information on a regular basis and they want web-based solutions to make it happen. So how does it all work? There are web-based analytics tools that allow you to create a centralized database for all of your projects. These tools store the data, leverage it to generate project and portfolio estimates, and then provide a communication vehicle throughout the organization to ensure that everyone involved is on the same page. It all starts with having the data in one place. Once you have all of your project data in one place, then you can focus on analyzing the completed projects. You can compare them against industry trends and leverage a 5-star report to show how they rate on performance in the industry. The initial measures to focus on would be size, duration, effort, reliability, and productivity. A project's productivity will be calculated automatically once you have entered the size, duration and effort. We call this measure a Productivity Index. This measure can be compared to industry and used as a benchmark to measure process improvements over time. These numbers give you a quantitative picture of your current project environment. Read more about How Can We Leverage Summary Level Analytics to Support Enterprise Planning? SLIM-Collaborate 2.0 - What's in a Name? We're happy to announce the launch of SLIM-Collaborate™ 2.0, the solution formerly known as SLIM-WebServices. The new name better represents how our customers use this "light and lean" version of our trusted software estimation, tracking, and benchmarking suite. As technology has become more integrated into every facet of our work and life, the number of stakeholders in software projects has grown. Collaboration among all of these parties is critical in making sure software is designed, developed, and deployed correctly. Not everyone involved needs the detail and power of our SLIM solution, but they all need visibility into project status. SLIM-Collaborate gives that transparency with an easy-to-use interface and dashboards designed with business users in mind. This transparency and involvement of all users improves estimation accuracy and ultimately achieve software project goals on time and on budget. 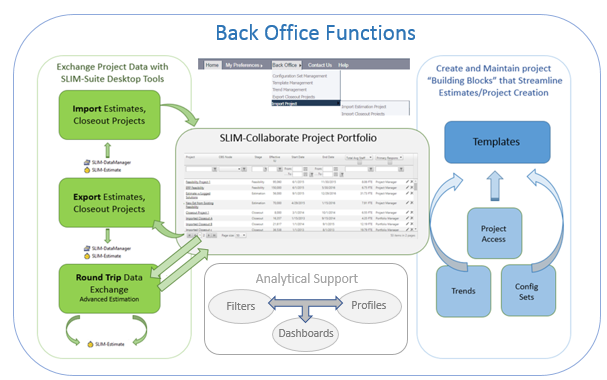 Read more about SLIM-Collaborate 2.0 - What's in a Name?